Although I’ve written 35 books, I’m convinced that I didn’t choose a career as a writer; it chose me. After many long-distance moves necessitated by my husband’s career, I realized I would never have enough time in one particular job to develop a career. So after the tenth move, out of sheer desperation I decided to try writing a book. When a major publisher bought it, I knew that I had found a career! Or, as I mentioned, it had found me. But I want my books to speak to my readers. I’m drawn to explore the problems of contemporary women. With three daughters of my own, I see first hand the ups and downs of relationships, the difficulties women face in balancing career with marriage and motherhood, the challenge of blended families as a result of divorce. Looking beyond my family, I see the issues facing society as a whole. Ten years ago, I lost my husband to a heart attack. Not only was my world changed, but I was changed in ways too numerous to mention. One was joyous: I was drawn back to the faith of my childhood. And, along with that, I began to explore the possibility of writing inspirational fiction. Over the years as I’ve conceived and developed plots relevant to the lives of contemporary women, there is one element that I feel is overlooked. And that is spirituality--faith. My books have always included the tension between right and wrong, but I mostly avoided adding the spiritual tension, those hard questions and struggles when characters inevitably dealt with trouble. Writing good inspirational fiction is not about adding a religious component to a book; it’s so much more. Now I freely explore the spiritual dimension of my characters. After living in many places, Texas is now home. I love to hear from readers. Learn more about me at: www.AuthorKarenYoung.com. What was different about writing this book? I have written 35 books of popular fiction. But Blood Bayou is a first for me, in some ways. It’s the first story where I weave into the plot a faith journey for a character. I was worried about several things. First of all, I was inexperienced in adding the element of faith to a book. How much or how little of that element should be in the plot, I wondered. I have a whole fan base of readers who may not be familiar with Christian fiction. Would they be accepting of the new direction I’d taken in my writing career? In short, a lot was different in writing this book. 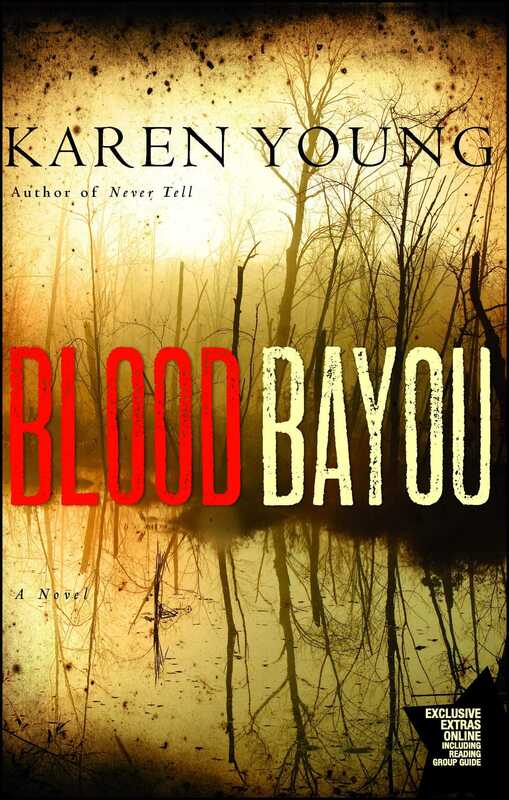 What surprised you in writing Blood Bayou? That’s easy. I loved writing Camille’s faith journey. It seemed natural, right from the first moments of her realizing her ex-husband had changed as a result of Christ entering his life. Even though she’s suspicious at first, she can’t deny he’s different from the man she married. I also felt right about Jack’s character, both as a redeemed man and as a minister. He is a hero “larger than life,” of course, which is pretty much expected in writing romantic fiction. But I didn’t expect that Jack would literally be a character who practically wrote his own dialogue. Once in a while a particular book will almost write itself. For me, Blood Bayou was one of those. Who knew? The “hook” in this story is that a man is wrongly incarcerated on death row, gets out, kills again. Was much research required? There is a ton of information on the Internet about the Innocence Project, which has been very much in the headlines for several years with the development of DNA as a means of identification. In my book, Chester is released as a result of something other than DNA evidence. I didn’t want that element of the story to overcome the mystery and growth of the characters’ relationship. So I learned far more about the Innocence Project than I used in the book. I recall once hearing another author state that only about one-twentieth of the research that is collected is used in actually writing fiction. I found that to be true in this case. How do you continue to be productive after 35 novels? Writing is my life. I dabbled in several careers before I wrote my first book, but I never felt much regret when I was forced to move on to another place and another job as a result of my husband’s career. It was only after I discovered the joy of coming up with a plot and weaving it into a story with characters straight out of my imagination that I realized what I was meant to do for the rest of my life. The most fun part of being a novelist—for me—is thinking up the story. The hardest part is writing it. But I can’t imagine doing anything else. So when I’ve finished one book, I am already in the process of coming up with the bare bones of the next one. I do not dream of retirement. Do you consider yourself a mystery writer? A romance writer? Describe how you work, your creative process. I work from a synopsis, which is usually about 35-40 pages of running narrative containing the main points of the story. One of the most difficult things I had to learn as a writer was how to develop that synopsis. It was my natural inclination to begin writing a story and just go with the flow. But to meet a deadline continually, book after book, I find it necessary to think through the plot thoroughly, develop the characters and generally decide the pacing of the story before beginning to write it. I write every day and usually am most productive in the afternoon and evening. Also, I belong to a brainstorming group with four other seasoned authors. We meet annually to discuss our current work-in-progress. Each of us brings different skills, different sensibilities and a different outlook on a plot. It’s incredibly useful and valuable to discuss the idea for a book and to hear different points of view about it from experienced writers. Which character did you like most? The least? Why? What personality traits did you find most appealing in the character you liked most? Which trait(s) did you like least? Did you guess the killer? When? Ray Wyatt was a retired cop. Did you find it believable that he abandoned his principles for money? Or was the inclination for evil always there? Cops see the dark side of humanity every day. Some “go bad.” Why? Do you think that is rare or not so rare? Secondary characters can add richness to a story. Which character(s) did you like? Camille’s father was a controlling parent. What traits in her behavior might be traced to her controlling father? Did you find it believable that Jack could overcome his many character flaws? Camille worked diligently to free Chester. Statistics show that there are people on death row who might be innocent of the crimes for which they are incarcerated. Do you think the death penalty is right? Camille divorced Jack when he caused serious injury to a boy while driving drunk. Was her decision legitimate? Was it moral? What about her marriage vows? What about sticking through sickness and health, through good times and bad? When a marriage is in crisis, what are some of the ways to resolve issues rather than to resort to divorce? Jack caused great pain and suffering to others. How do you feel about those individuals when they have attempted to make amends? Do you think Jack did all within his power in hoping for and praying for Camille’s conversion to faith? Name things he might have done, but didn’t. Once Camille and Jack are reunited, what do you feel their future holds? Will Camille have difficulty assuming the role of a minister’s wife? 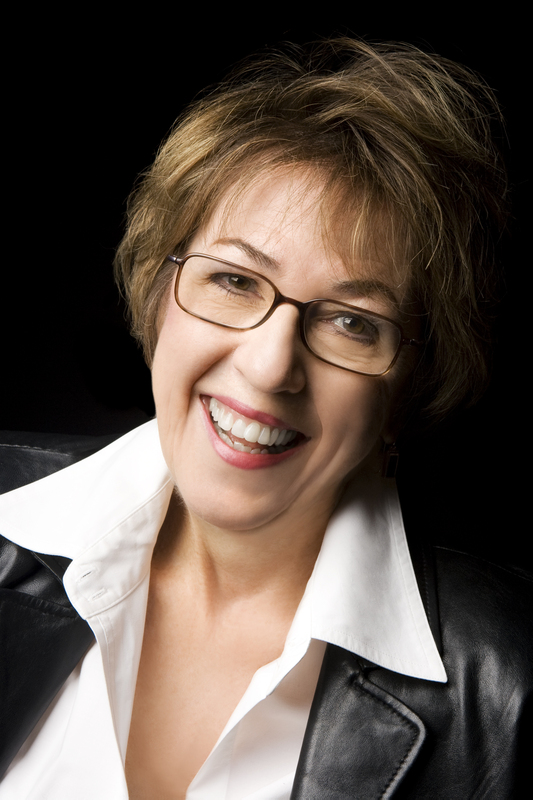 Karen Young is the international bestselling author of thirty-eight novels. She has more than ten million books in print and is the recipient of the coveted RITA award from Romance Writers of America and the Career Achievement and Reviewer’s Choice awards from Romantic Times magazine. She is known as “a spellbinding storyteller who writes with sensitivity about issues facing contemporary women.” Karen's career in writing fiction for women has run the gamut from traditional romance to mystery thrillers to inspirational fiction. In her relationship-driven plots, she creates characters that could easily be her readers, and then places them in extraordinary circumstances while adding suspense to the mix.